Whether you’re looking to add multiple photos to Instagram Stories in record time or multiple images in the one Story. 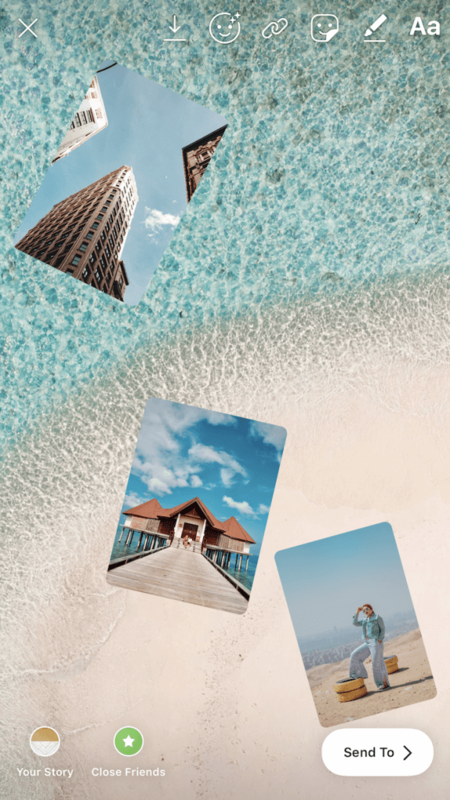 Here we’ll run you through exactly how to add multiple photos to Instagram Story posts across three different methods. Then, you can simply choose which one is the best fit for you and get cracking on your posts. Sound good to you? 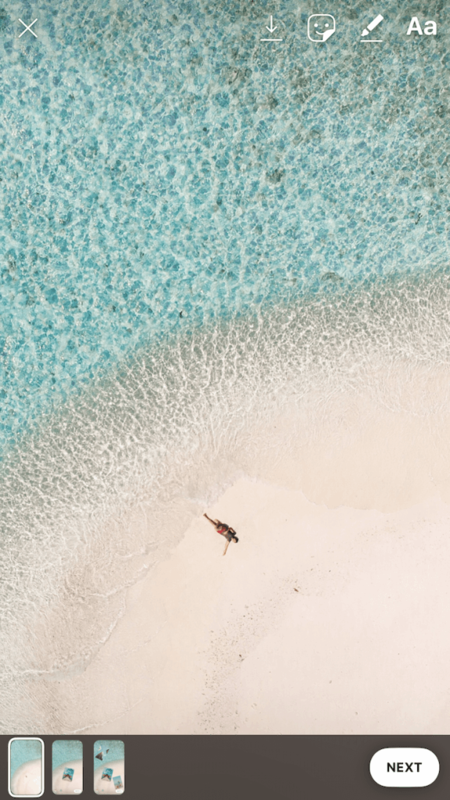 Let’s dive right in. 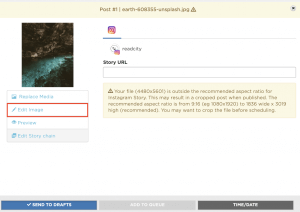 Looking for how to schedule carousel posts for Instagram? Find your instructions here. We all know how to add single images to Instagram Stories. But how do you add multiple images to Instagram Stories? Here we’ll run you through step-by-step how to do exactly that. Better yet, with these simple instructions, you’re able to complete the whole process from inside the Instagram App. 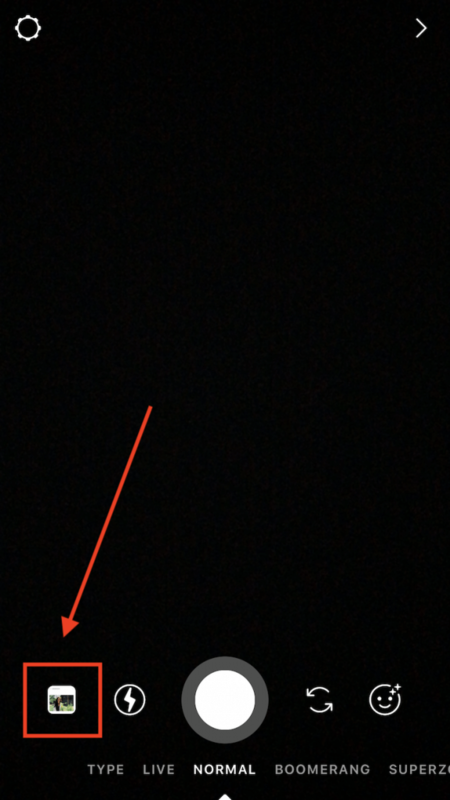 First off, simply open your Instagram stories by clicking the camera in the top left corner of your screen. Or, if you don’t have any other Stories active, click the plus sign on your Instagram profile icon. Next, click the image icon in the bottom left corner of your screen. This will open up your phone’s camera roll. Now, click ‘select multiple’ from the top right corner of the screen, above your gallery of images. 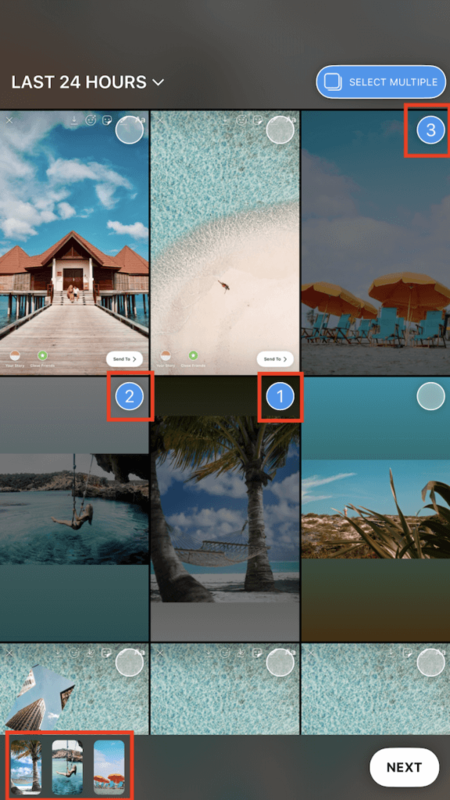 Finally, select each image you’d like to upload to Stories. For each image you select, a number will appear beside it. These numbers correspond with the order your images will be uploaded in. For example, an image with 1 next to it will appear first, 2 will appear second. And so on. To preview this ordering, click next and toggle between each. If you’re not happy with the order that these images are in, simply navigate back, deselect them and reselect each in the order you’d prefer. Adding stickers, text and drawings to Instagram Stories can add personality, boost engagement and enhance reach. Plus, they’re also pretty fun to play around with. When you’re adding multiple photos to Instagram Stories, we’re guessing you’ll still want to make use of these guys! Luckily, it’s easier than ever to add stickers, text and drawings to multiple stories. Here’s all you need to do. Firstly, select your images. 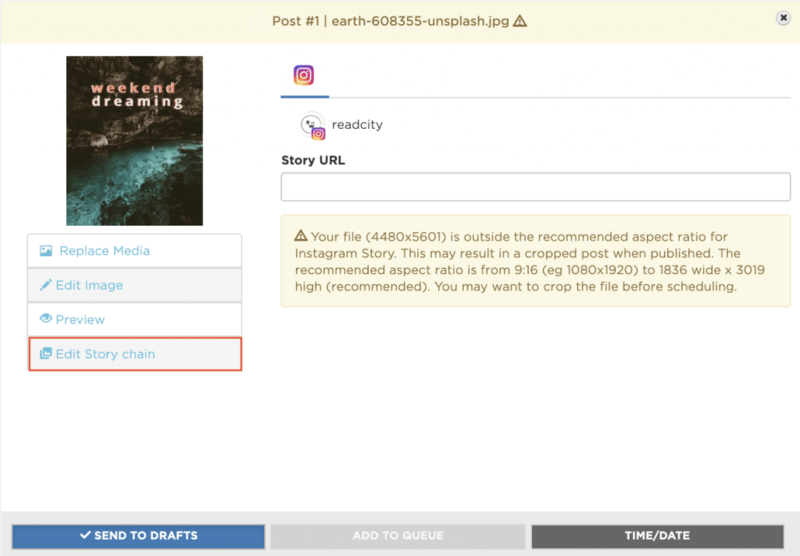 You’ll see each of the images you’ve chosen to upload to your story at the bottom of the screen. To select the image you’d like to jazz up, click directly on it. Add the extra elements you’ve chosen, and then move to the next. Once you’re happy with the final look, simply click next at the bottom of the screen to publish! 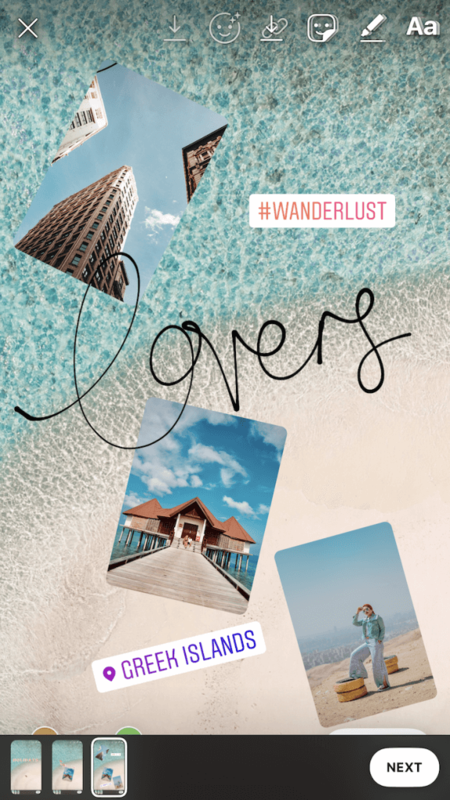 Since you were interested in knowing how to add multiple images to Instagram Stories, we bet you’re pretty adventurous in the Stories department. So, if you’re ready to experiment a little further, here’s our guide on how to add multiple photos to a single Instagram Story, right within the Instagram App. If one image just isn’t enough per screen for you, we have your solution. Here’s exactly how to add multiple images to a single Instagram Story. Note: Not all accounts have this feature just yet. 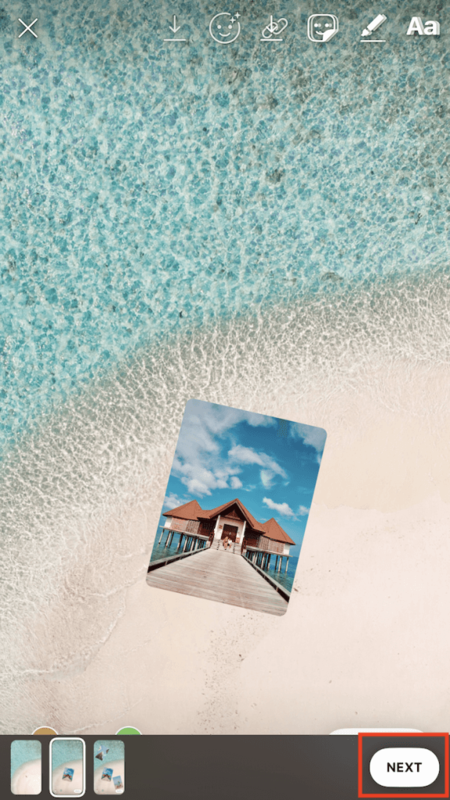 Much like the steps above, to select your image simply click on the camera in the top left of your screen, or directly on your Instagram profile icon. Next, select your image, then click the sticker tab in the top right of your screen. Scroll to find the ‘image select’ sticker. This will then open your camera roll again. Here you’ll be able to choose any image you like. 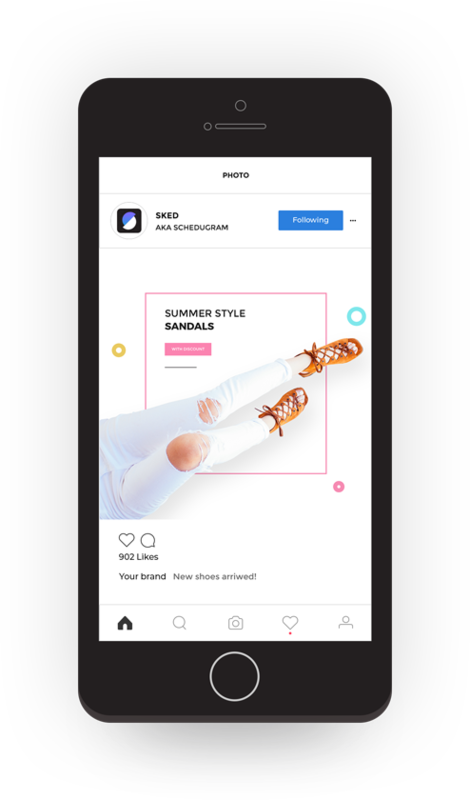 Then, adjust its size and positioning within your Instagram Story screen. 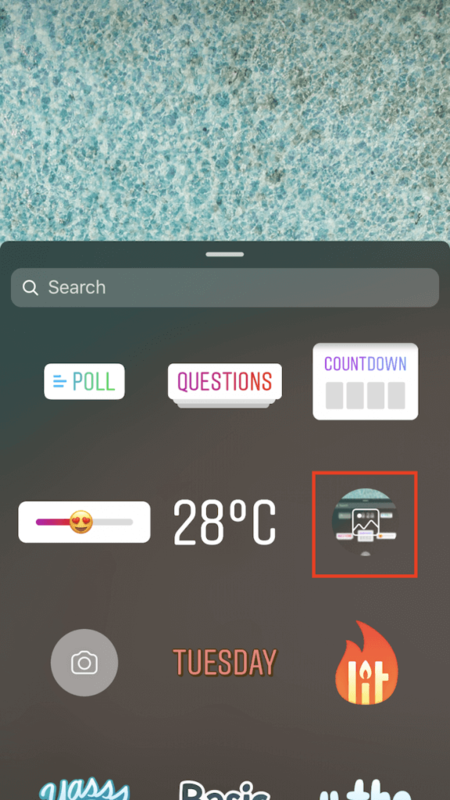 Add as many images as you like by opening the ‘image select’ sticker over and over again, until your happy with the final Instagram Story. 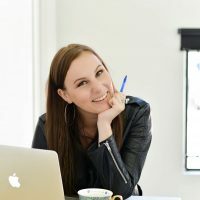 Whether you’re a social media manager or a business owner, it’s comforting to know that you’re sharing relevant content with your audience at exactly the right time. But if posting Instagram Stories in ‘real time’ is interrupting your workflow and your day, scheduling them could be the answer for you. Sked Social allows you to schedule Instagram Stories ahead of time, so your audience is never left hanging. By scheduling multiple photos to Instagram Stories, and multiple Instagram Stories to your account, you can get back to doing what you do best. 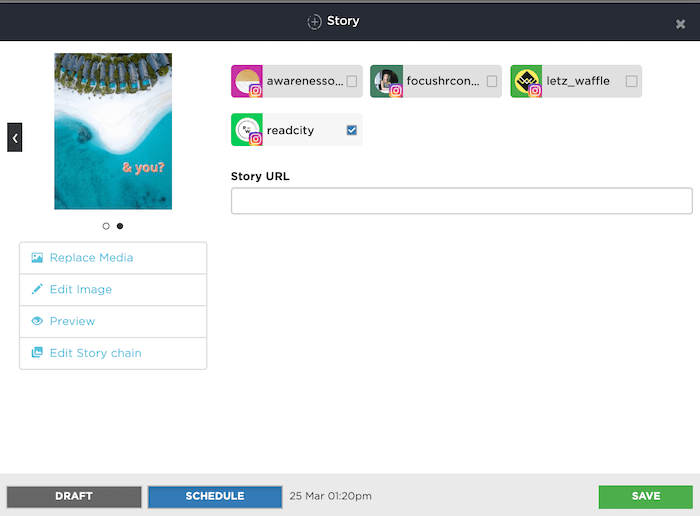 All while Sked Social manages your Story content! 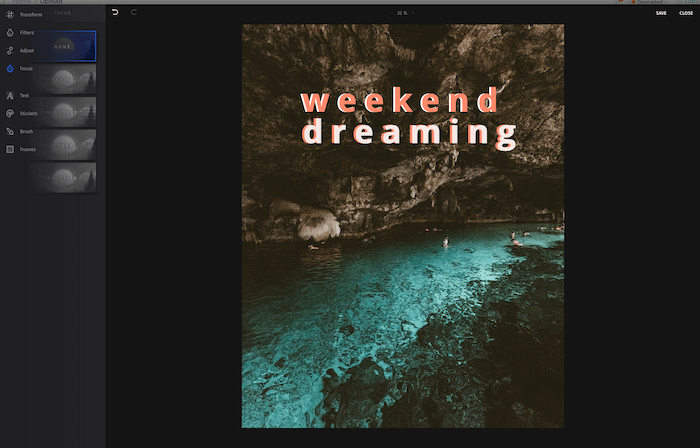 Here’s how to add multiple photos to Instagram Story posts using Sked Social. Firstly, choose your desired Instagram account and select ‘Upload Posts’ from Sked Social’s side toolbar. Here you’ll be taken to the upload screen. Once your media has been selected, click next. Below is an example of adding text to the post within Sked Social’s editor. 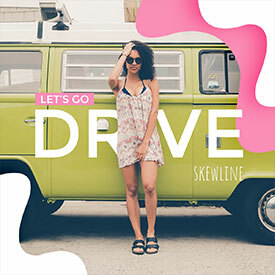 Once your image looks the way that you like, simply click save, ‘Edit Story chain’ to add another image. You can toggle between multiple images and switch up their order by simply dragging and dropping. For verified accounts and those with over 10,000 followers, you’re also able to add a ‘Story URL’ to link in with the swipe up feature. The final step to adding multiple photos to Instagram Stories is selecting the date and time you’d like your story published on. And that’s it! Knowing how to add multiple photos to Instagram Story posts means you have another social media tool under your belt! Go you! 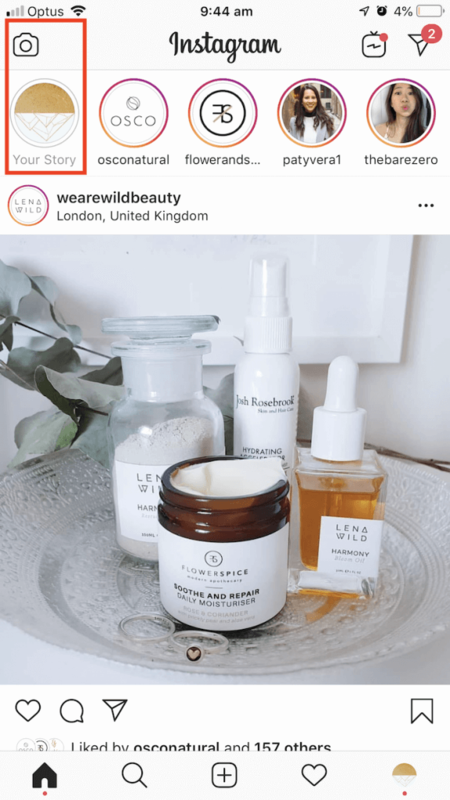 Whether you choose to upload your Stories from within the Instagram App or by using Sked Social, it’s important to remain active and relevant on the platform. Here are some questions to ask yourself when making the final call. Do I have time to upload Instagram Stories in ‘real time’ or would scheduling Stories save me all the interruptions? Will I be adding multiple images to one Instagram Story? And if so, what creative ideas can I implement to keep my audience interested? Would I or my team work more seamlessly by scheduling our stories (AKA without constantly feeling we must upload Instagram Stories throughout our day)? Curious to see what all the fuss about Sked Social is? 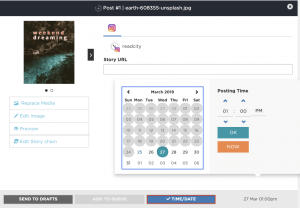 Sign up for your free 7-day trial where you’ll experience the time-saving benefits of scheduling Instagram and Twitter content – Including Instagram Stories and videos. Make use of our template manager, hashtag recommendation feature, analytics and more!